Dr. Julian Lai obtained his Bachelor's degree in psychology from the University of Toronto. He joined the City University of Hong Kong to start his research career after graduating from the University of Hong Kong with a Ph.D. in psychoneuroimmunology. In addition to research on the psychophysiology of stress, he also engaged in research on topics associated with personality and social psychology, health psychology, and environmental psychology. 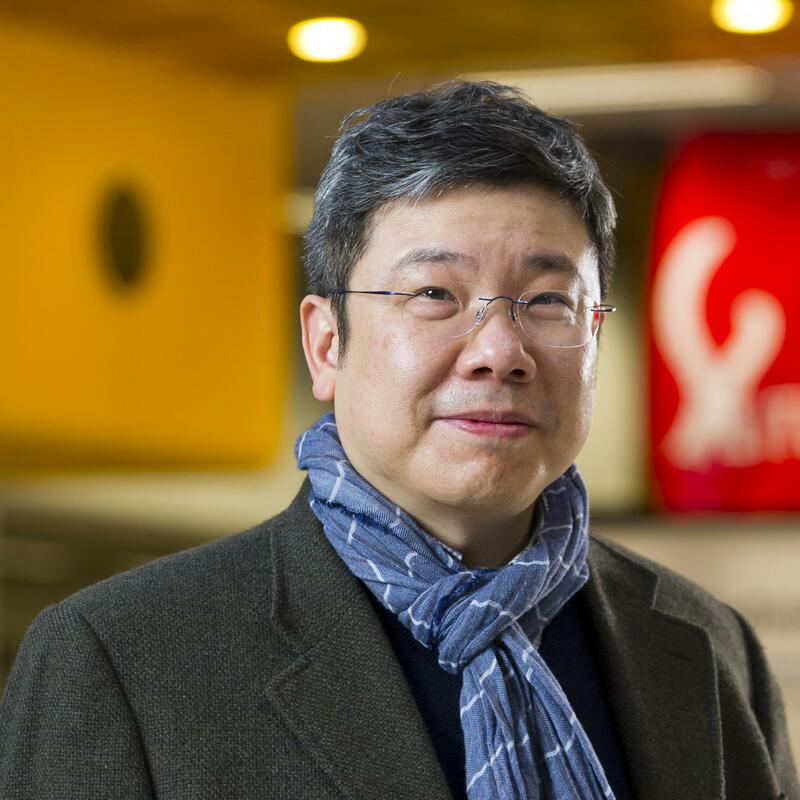 One of Dr. Lai's major contributions is the adoption of salivary cortisol as a biomarker to examine the health impact of personal and interpersonal characteristics in Chinese populations. He is also one of the few scholars who pioneered research on the psychosocial determinants of pro-environmental behavior in the Chinese people. His major publications appear primarily in international journals in psychology. Dr. Lai has been serving as an expert reviewer for a number of prestigious journals in psychology and related disciplines. He was the Editor of the official journal of the Hong Kong Psychological Society (2009-2012) and is a former president of the Hong Kong Psychological Society (2004-2005). He has been an honorary research fellow of the Center on Behavioral Health of the University of Hong Kong. Dr. Lai also has extensive experience in teaching and program planning, especially in taught postgraduate programs. He served as the program leader of the Postgraduate Diploma in Psychology for a number of years and was in charge of converting the program to the MSocSc in Applied Psychology in 2009. He has been serving as the program leader of the master program since then. Dr. Lai's teaching expertise concentrates in areas such as biological psychology, behavioral neuroscience, neuropsychology, cognitive psychology, and social psychology (e.g., the interaction between the social environment and psychological processes in determining risk perception). He has also served as the external examiner of various courses and programs offered by other universities in Hong Kong. 1995 “Outstanding PhD thesis of Congregation 1995” The University of Hong Kong Libraries. Thesis title: "The Effects of Examination Stress on Secretory Immunity". Oct 2012 “Honorary Research Fellow” Center on Behavioral Health, University of Hong Kong. 2011 “Interdisciplinary Professional Development Award: Law, Reasoning, and Morality: A Critical Analysis” City University of Hong Kong. 1989 - 1993, Demonstrator, Department of Psychology, the University of Hong Kong. Loneliness and Diurnal Cortisol Profiles in Chinese Elders, 7004955, City University of Hong Kong, Amount: HKD $100,000, 1 Sep 2017 - 31 Aug 2019, Julian Lai (PI), Alice Chong (AI), Lam Yun Wah (AI). Age Differences in Diurnal Cortisol Profiles, Strategic Research Grant, City University of Hong Kong, Amount: HKD $100,000, 1 Sep 2016 - 31 Aug 2018, Julian Lai (PI), Alice Chong Ming Lin (AI), Lam Yun Wah (AI). Psychological Resilience and the Cortisol Awakening Response in Chinese Undergraduates, Strategic Research Grant, City University of Hong Kong, Amount: HKD $99,000, 1 Sep 2015 - 31 Aug 2017, Julian Lai (PI), Lam Yun Wah (AI). Independent and interactive effects of positive and negative psychological dispositions on well-being , GRF, RGC, Amount: HKD $529,650, Jul 2009 - Dec 2011, Dr. LAI, Chuk Ling Julian(PI). The Pathology of Environmental Crisis, La Trobe University, Amount: AUS $34,624, Jan 2008 - Dec 2009, Dr. LAI, Chuk Ling Julian(PI), Dr. LO, Y S Norva (PI). Psychosocial Determinants of Neuroendocrine Function in the Elderly, Strategic Research Grant, City University of Hong Kong, Amount: HKD $175,175, Sep 2007 - Mar 2009, Dr. LAI, Chuk Ling Julian(PI). Impact of Activation of Optimistic Cognitions on the Processing of Positive and Negative Information , GERG, RGC, Amount: HKD $369,058, Dec 2004 - Sep 2006, Dr. LAI, Chuk Ling Julian(PI). Cromm, K. & Lai, J. C. L. (2012). Does personal resilience predict higher quality of life of dialysis patients across culture?. Psychology & Health. 27 (Supplement Aug 2012). 188 . Cromm, K. & Lai, J. C. L. (2012). Resilience resources predict higher quality of life (QOL) among Taiwanese dialysis patients. Value in Health. 15(7). A671 . Ng, S. H. & Lai, J. (2011). Bicultural selves, multiple ingroup identities, and dual patriotisms among Chinese in Hong Kong. Journal of Cross-Cultural Psychology. 42(1). 89 - 103. Ng, S. H. , Han, S. , Mao, L. & Lai, J. (2010). Dynamic bicultural brains: fMRI study of the flexible neural representation of self and significant others in response to cultural primes. Asian Journal of Social Psychology. 13. 83 - 91. Lai, J.C.L. , Chong, A.M.L. , Siu, O.T. , Evan, P. , Chan, C.L.W. & Ho., R.T.H. (2010). Humor attenuates the cortisol awakening response in healthy older men. Biological Psychology. 84. 375 - 380. Lai, J.C.L. (2009). Dispositional optimism buffers the impact of daily hassles on mental health in chinese adolescents. Personality and Individual Differences. 47. 247 - 249. Ng, S. H. & Lai, J. C. L. (2009). Effects of cultural priming on the social connectedness of the bicultural self: A self-reference effect approach. Journal of Cross-Cultural Psychology. 40(2). 170 - 186. Lai, C. L. (2007). Biculturalism in Chinese societies. Journal of Psychology in Chinese Societies. 8(2). 91 - 99. Lai, J.C.L. & Tao, J. (2006). Perception of environmental risks among the Chinese people. International Journal of Environmental, Cultural. Economic and Social Sustainability. 1(5). 125 - 138. Chan, W.S. , Lai, C.L. & Wong, K.W.N. (2006). Resilience is associated with better recovery in Chinese people diagnosed with coronary heart disease. Psychology & Health. 21(3). 335 - 349. Chan, C. L. W. , Tso, I. F. , Ho, R. T. H. , Ng, S. M. , Chan, C. H. Y. , Chan, J. C. N. , Lai, J. C. L. & Evans, P. D. (2006). The effect of a one-hour Eastern stress management session on salivary cortisol. Stress & Health. 22. 45 - 49. Lai, J.C.L. , Evans, P. , Ng, S.H. , Chong, A.M.L. , Siu, O.T. , Chan, C.L.W. , Ho, S.Y.M. , Ho, R.T.H. , Chan, P. & Chan, C.C. (2005). Optimism, positive affectivity, and salivary cortisol. British Journal of Health Psychology. 10. 467 - 484. Lai, J. C. L. & Cheng, S. T. (2004). Health beliefs, optimism and health-related decisions: A study with Hong Kong Chinese. Intenational Journal of Psychology. 39. 179 - 189. Lai, J. C. L. , Brennan, A. , Chan, H. M. & Tao, J. (2003). Disposition toward environmental hazards in Hong Kong Chinese: Validation of a Chinese version of the Environmental Appraisal Inventory (EAI-C). Journal of Environmental Psychology. 23. 369 - 384. Lai, J. C. L. & Tao, J. (2003). Perception of environmental hazards in Hong Kong Chinese. Risk Analysis: An International Journal. 23. 669 - 684. Lai, J. C. L. & Chan, K. H. R. (2002). The effects of job-search motives and coping on psychological health and reemployment: A study with unemployed Hong Kong Chinese. International Journal of Human Resource Management. 13. 465 - 483. Lai, J. C. L. , Chan, J. Y.Y. , Cheung, W. L. R. & Law, S. Y. W. (2001). Psychosocial development and self-esteem among traditional-aged university students in Hong Kong. Journal of College Student Development. 42. 68 - 78. Lai, J. C. L. & Yue, X. D. (2000). Measuring optimism in Hong Kong and Mainland Chinese with the revised Life Orientation Test. Personality & Individual Differences. 28. 781 - 796. Wan, W. W. , Luk, C. L. & Lai, J. C. L. (2000). Personality correlates of loving styles among Chinese students in Hong Kong. Personality & Individual Differences. 26. 169 - 175. Lai, J. C. L. & Wong, W. S. (1998). Optimism and coping with unemployment among Hong Kong Chinese women. Journal of Research in Personality. 32. 454 - 479. Lai, J. C L. (1997). Relative predictive power of the optimism versus the pessimism index of a Chinese version of the Life Orientation Tes. Psychological Record. 47. 399 - 410. Lai, J. C. L. (1996). Perceived stress and physical symptoms: The problem of the response set of social desirability in Hong Kong undergraduates. Psychologia. 39. 50 - 54. Lai, J. C. L. (1995). The moderating effect of optimism on the relation between hassles and somatic complaints. Psychological Reports. 76. 883 - 894. Lai, J. C. L. (1994). Differential predictive power of the positively versus the negatively worded items of the Life Orientation Test. Psychological Reports. 75. 1507 - 1515. Spinks, J. A. , Wong, M. M. F. , Chan, C. C. & Lai, J. C. L. (1994). Examination anxiety and the immune system: A report on studies of Hong Kong students under stres. International Journal of Psychophysiology. 18:2. 149 . Lai, J. C. L. , Lo, N. & Brennan, A. (2011). Chinese worldview and environmental attitudes. Conference on Psychology and Social Harmony. 1. (pp. 242 - 250). Wuhan. China: . Lai, C. L. J. & Wan, K. Y. K. (2009). Trait anxiety accentuates the cortisol awakening response. 3rd International Conference on Bioinformatics and Biomedical Engineering, iCBBE 2009. 5163695. Beijing. China: . Lai, C. L. (Ed.). (2007). Special issue: The psychology of biculturalism in Chinese societies. (Journal of Psychology in Chinese Societies ed.). vol. 8, no. 2. Hong Kong: The Chinese University Press. Lai, C. L. J. (2007). Psychological impact of economic restructuring in Hong Kong. In A. B. I. Bernardo, M. C. Gastardo-Conaco, & M. E. C. D. Liwag (Eds. ), Progress in Asian Social Psychology Vol. 5: The self, relationships, and subjective well-being in Asia. Psychological, social, and cultural perspectives. (pp. 307 - 352). Seoul, Korea. Kyoyook-Kwahak-Sa Publishing Company. 2016 - 2018, Director, The Hong Kong Psychological Society Limited.Hong Kong. 2011 - 2017, Member of the Panel of Adjudicators, The Obscene Articles Tribunal .Hong Kong. 2009 - 2012, Editor of The Journal of Psychology in Chinese Societies , The Hong Kong Psychological Society.Hong Kong. 2009 - Now, External Examiner, School of Arts and Social Sciences, the Hong Kong Open University.Hong Kong. 2006 - 2009, Associate Editor of The Journal of Psychology in Chinese Societies, The Hong Kong Psychological Society.Hong Kong. Mar 2009, Member of Validation Panel for Master of Social Sciences in Counselling Psychology offered by Hong Kong Shue Yan University , Hong Kong Council for Accreditation of Academic and Vocational Qualifications.Hong Kong. 2009 - 2013, External Academic Advisor, Community College of the City University of Hong Kong.Hong Kong. 2007, Consultant, 屯门區扶貧工作小組: Tuen Mun District Council .Hong Kong. 2008 - 2012, Department Staffing Committee, Member. 2000 - Now, Departmental Advisory Committee , Member. 2000 - Now, Departmental Executive Committee, Member. 2012 - 2013, Dr. Ye Jiawen, PhD thesis: A Comparative Study of the Effects of an Intermediary on the Trust Decisions and Perception of Chinese and Westerners. 2007 - 2009, Ms Kitty Wan Kit Ying, MPhil thesis: Coping Affects Neuroendocrine Response to Psychosocial Stress . 2004 - 2006, Ms Chan Wing Sum, MPhil thesis: Posttraumatic Growth among Healthcare Workers after SARS. 2009 - Now, Undergaduate, Social Risk Analysis. 2008 - Now, Undergraduate, Basic Psychology II. 2001 - Now, Undergraduate, Biological Psychology. 2001 - 2009, Undergraduate, Cognitive Psychology. 2000 - Now, Undergraduate, Neuropsychology. 1994 - Now, Taught Postgraduate, Biological Basis of Behavior. 1994 - 2009, Taught Postgraduate, Perception and Cognition. 7 Sep 2017 - 9 Sep 2017, The 47th Annual conference of the International Society of Psychoneuroendocrinology, Zurich, Switzerland. 23 Mar 2017 - 25 Mar 2017, International Convention of Psychological Science , Vienna, Austria. 8 Jul 2014 - 13 Jul 2014, 28th International Congress of Applied Psychology, France. 9 Nov 2012 - 11 Nov 2012, 2nd China International Conference on Positive Psychology, China. 11 Jul 2010 - 16 Jul 2010, 28th International Congress of Applied Psychology, Australia. 20 Jul 2008 - 25 Jul 2008, XXIX International Congress of Psychology, Germany.